For the first time, Conference of European Rabbis President Chief Rabbi Pinchas Goldschmidt led a delegation to meet with H.E. 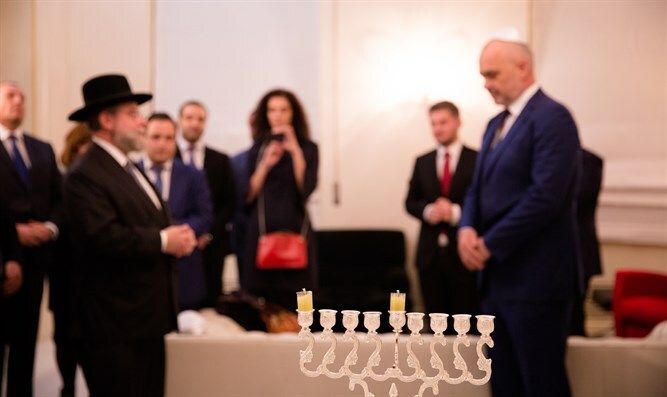 Edi Rama, the Prime Minister of Albania, in a celebratory candle lighting for Hanukkah in Government House. 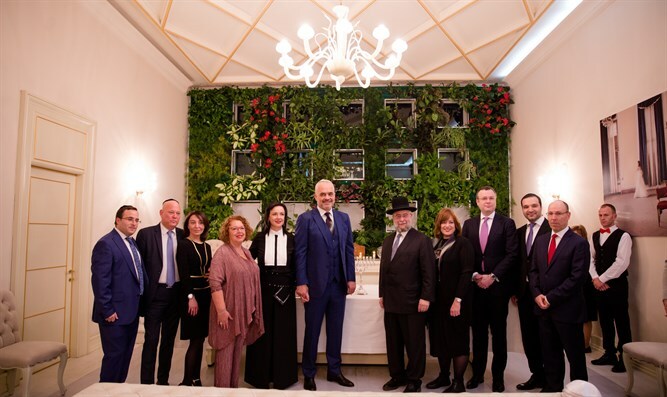 The delegation included Mr. Geront Kureta, President of the Albanian Jewish community, CER Council of Patrons Vice President Bart Van de Kamp and Council of Patron members Joelle Aflalo and Ilja Gorelik. During the Holocaust, Albania provided sanctuary to a small number of Jewish refugees from Germany, Austria, Croatia and Serbia. The Albanian population, and even the Italian forces occupying the country from 1939, were sympathetic to the Jews and as a result, nearly the entire Jewish community survived intact. Albania is one of the few European countries that emerged from World War II with more Jews than in 1939. Today the population is estimated to be less than 100 and is mainly based in Tirana. 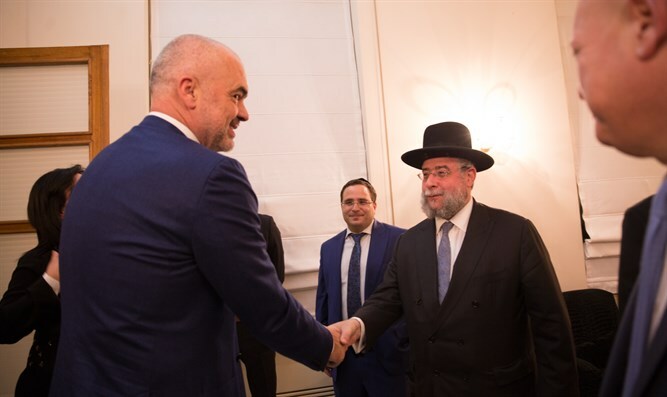 Commenting on the meeting, Rabbi Goldschmidt said, "This is an historic meeting for the Jewish community, not just here in Albania but across Europe." "The importance of a community is not always defined by its size, wherever Jews are, it is important that they are supported by the Government of their country. We are incredibly grateful to the Prime Minister and his team for welcoming us. "Prime Minister Rama has been supportive of the Jewish community throughout his tenure and we look forward to strengthening our relationship going forward."